Editor's Note: This article was originally published on June 10, 2016 but has been updated February 28, 2018 for accuracy. How can you tell when it's trade show season? The biggest hints are usually when social media hashtags are blowing up, trade show articles (such as this one) are showing up everywhere, and marketing emails keep "hinting" at their presence at Interzoo, Super Zoo, or maybe even next year's Global Pet Expo. The constant reminder of the upcoming trade show for pet professionals may become a little overwhelming, especially when you're trying to run your business as usual. With Global Pet Expo and Super Zoo just a few months away, both exhibitors and attendees are starting to think about their game plan. As a buyer getting ready to to attend a pet trade show such as Super Zoo, you'll definitely want to get your planner out and figure out what your challenges and goals are for the year. To help you start planning, here's the top 5 ways to get the most out of the ever-growing pet industry events. First thing's first. You're going to want to start putting a schedule and a plan of action together for the show. When you sit down to plan out your trade show schedule, there are a few things you should be considering. There may be more things to consider, depending on your company and the specific reasons why you are attending the show, but those are some first steps to making the most out of a pet trade show. Before attending a trade show, there's a few pre-event research points you'll want to look into. First of all, go on to the website and find out which vendors are going in the pet categories you are looking to buy in. 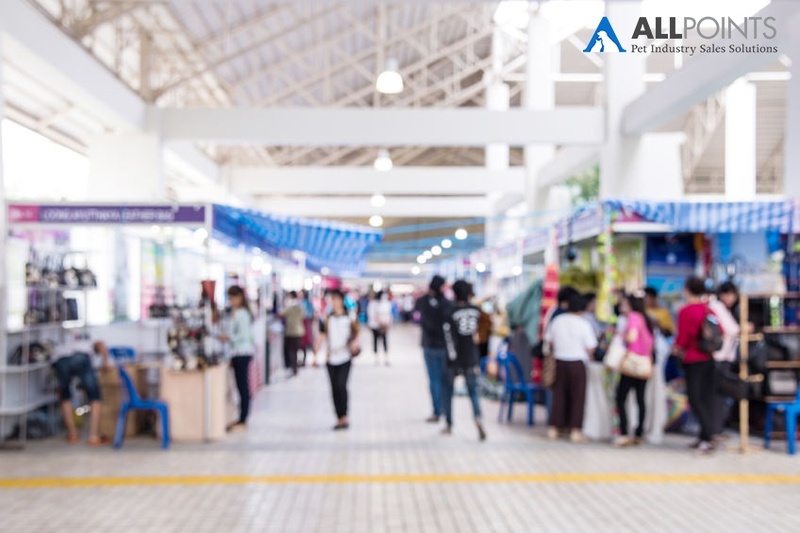 Then, you'll want to find out where they are located so you don't find yourself wandering aimlessly around the convention hall searching for the vendors you want to meet with. You may also want to begin researching new, up-and-coming products and brands that will be on display (new product show-case, anyone? ), as well as which seminars you may want to attend while you're at the show. If you have time, you may also want to consider looking at vendor's social media accounts and websites to determine whether they might be a good match, especially if you're not already buying from them. Again, the amount of research you do before a show may vary based on your position and the goals you identified while pre-planning for the event. Just keep in mind that the more homework you do before a pet trade show, the better off you will be once the event comes around. Once you've accomplished the pre-trade show planning, you should know which vendors you'd like to meet with in order to get the most out of the show. Now is the time to start scheduling the meetings and organizing your time. Reach out to the vendors you'd like to meet with, if they haven't already reached out to you, and request the times that will work best for you. Tip: Try to schedule meetings with vendors within close vicinity to each other when possible to avoid having to traverse the entire conference hall multiple times. One of the big trade shows, SuperZoo, has recently launched an app that is meant to help facilitate the mundane process of scheduling meetings with manufacturers you're interested in. In case you're not quite sure how to use their new app: don't worry, we've got a guide for that. Chances are that when attending an event such as Super Zoo, you may be given a budget to adhere to. While it may be tempting to purchase that wine-bottle cat toy, it's smart to know ahead of time what you will be able to afford for your store. While many orders may not take place directly at the show, it's still critical to have a max number in mind so you don't end up making promises you can't keep while networking. Tip: Vendors will often have show specials at these types of events. Be sure to keep that in mind when determining your budget! 4) Be Social with Networks and Networking! Many pet trade shows such as Super Zoo and Global Pet Expo are more for networking with pet industry professionals than anything else. On a normal business day, you are likely communicating with the same people and engaging in similar conversations every day. Why not take advantage of the show by engaging with those around you? While it may be tempting to check your ever-growing email count, be sure to take the time to talk to those who may very well assist in growing your business more than that one email from so-and-so. Additionally, check your favorite social media networks beforehand and follow the trade show account (Super Zoo or Global Pet, for example) and keep your eye out for any hashtags that may be set aside for the event. Then, during the event, post your favorite photos and moments from the trade show using the handle and/or hashtag. Not only is this a great way to socialize online, but it may also get your name seen throughout the show as others search through the hashtags! Tip: Use #GlobalPetExpo to talk about Global Pet Expo on social media and #SuperZoo or #SZ18 to talk about SuperZoo. Another good way to make sure you're noticed is by tagging the trade show accounts themselves in your tweets. You might even get retweeted! Chances are, post trade show, you are going to receive hundreds of follow-up emails from vendors that you met with during the show. Each vendor will be, understandably, vying for your attention. While you may want to get to all those emails at once, it is impossible and going to end up being more overwhelming than anything else. So, how do you prioritize who to respond to first? Respond to the vendors who are offering assistance and guidance, rather than just trying to sell you something. These vendors will be the ones you start a trusting relationship with, and the ones who will be assisting you during one of the most overwhelming times of the year. Those who are begging for orders to be turned in are likely just in it for the money, and don't actually care about making post-trade show season easier for you. Pick and chose the emails that offer value to you and your company, and respond to those first. Your boss, and your numbers, will thank you for it.